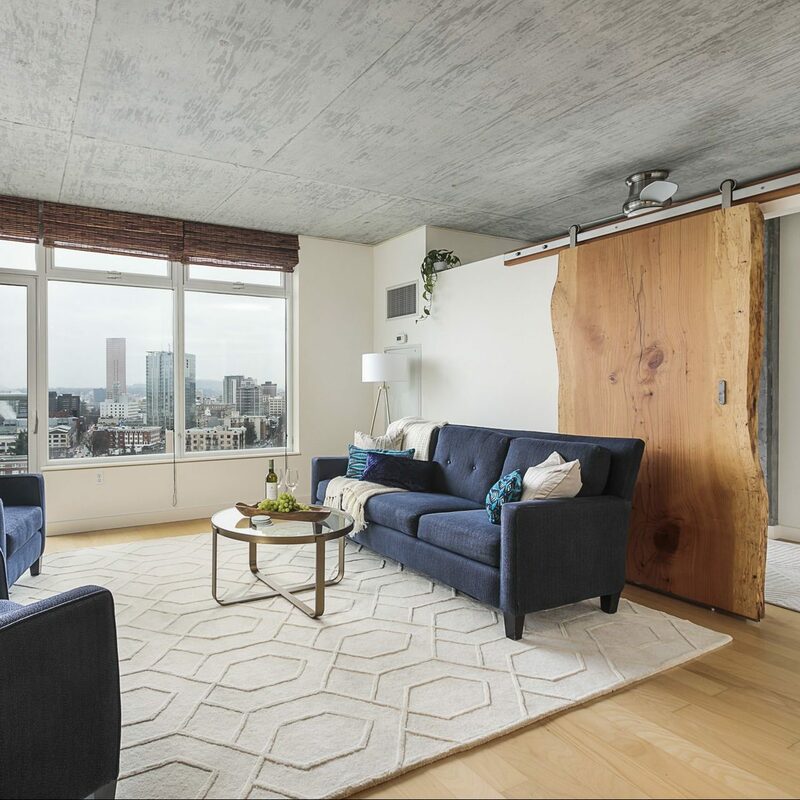 Spectacular one-of-a-kind one bedroom + den in the Civic with views of the city, Mt Hood & Mt St Helens. Newly remodeled with large master bedroom & additional room perfect for home office. Customized with beautiful slab barn-style doors & quartz countertops. Lots of storage throughout. 24hr concierge. The Civic is in the heart of the city, walking distance to NW Portland, the Pearl District & Downtown Portland. Home comes with rare 2 single parking spaces. For more information on this home or for help finding condos for sale in the Civic, please contact Kirby Arkes at 503-706-0854, or [email protected].